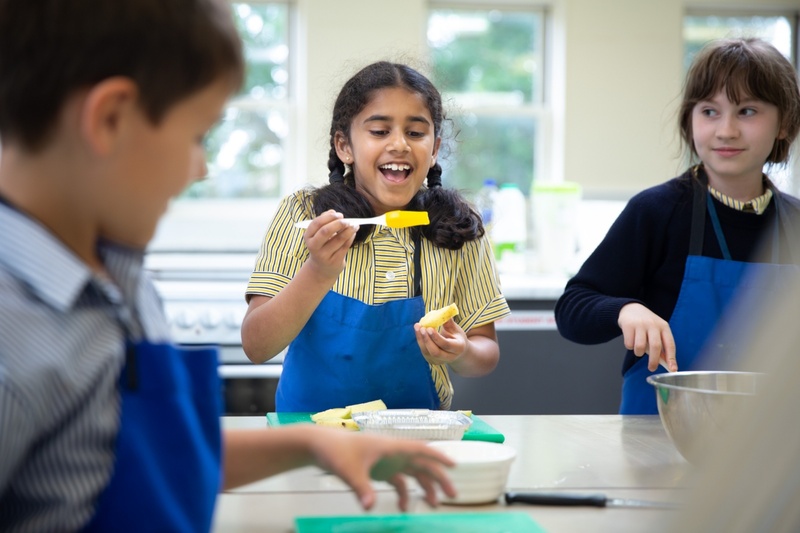 As children progress through the Junior School they move from being taught mainly by one teacher for all subjects to being taught by specialists in many subjects. Staff understand each individual pupil's strengths and give additional support as and when it is needed. 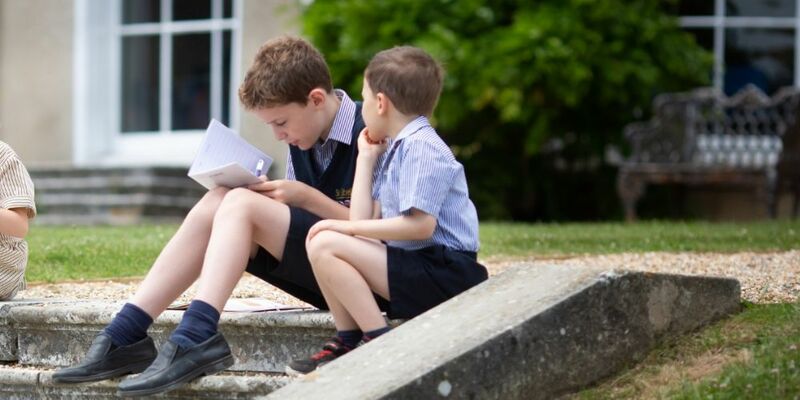 Your child will move on to Senior School as a confident, resilient, articulate and resourceful young person. 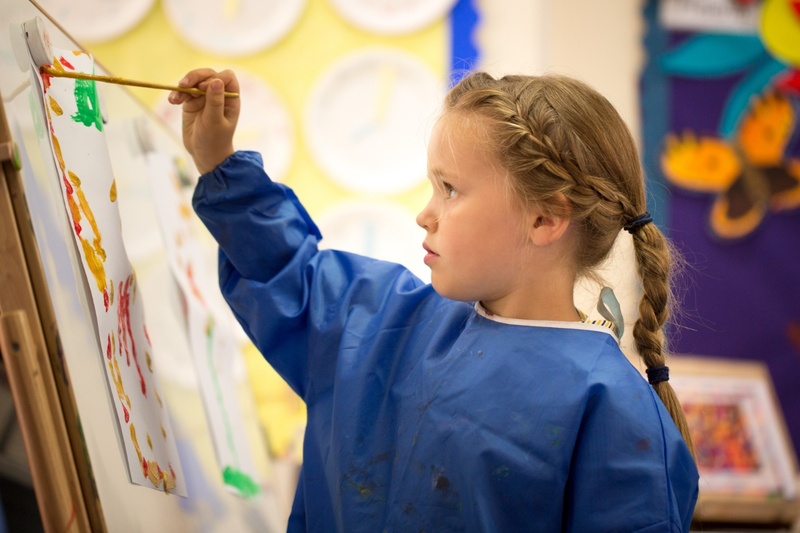 Art in the Junior School offers a rich and broad experience, providing pupils with the opportunity to experience a wide range of materials and media. 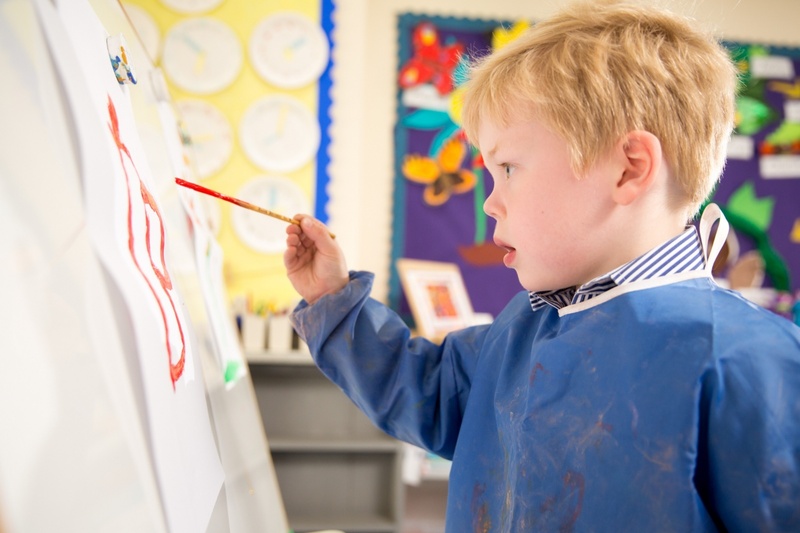 The curriculum is designed to progress the pupils' skills over their Junior School years and allows them to develop an interest and enthusiasm for art. From the study of famous artists to the exploration of individual ideas and themes, the children's creativity and originality is encouraged. We recognise the importance of ensuring our pupils have the skills necessary to work in a rapidly changing world of information and communication technology (ICT). 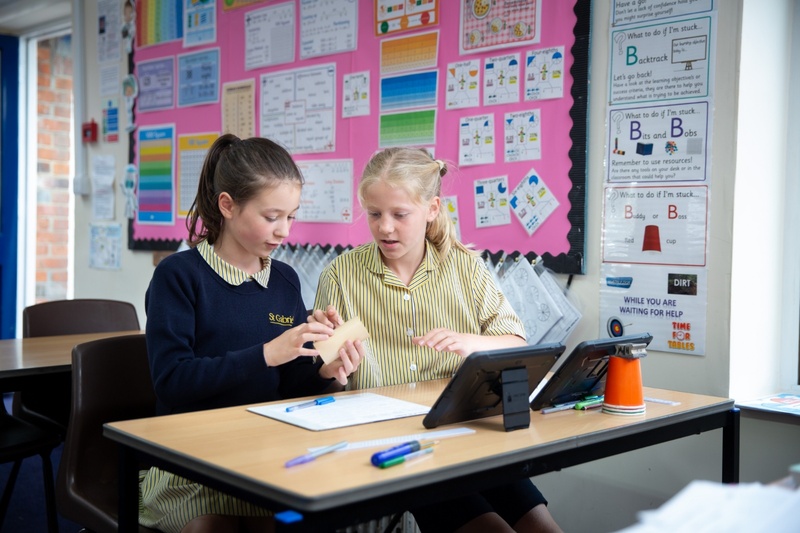 Junior pupils use a wide variety of ICT tools, including their iPads, to research; develop their ideas and make things happen; exchange and share information and review, modify and evaluate their work. Pupils are given the opportunity to apply and develop their ICT skills in all curriculum areas. Our ultimate aim is to give them the skills and understanding to apply ICT effectively in their learning, everyday life and in the world of work ahead. 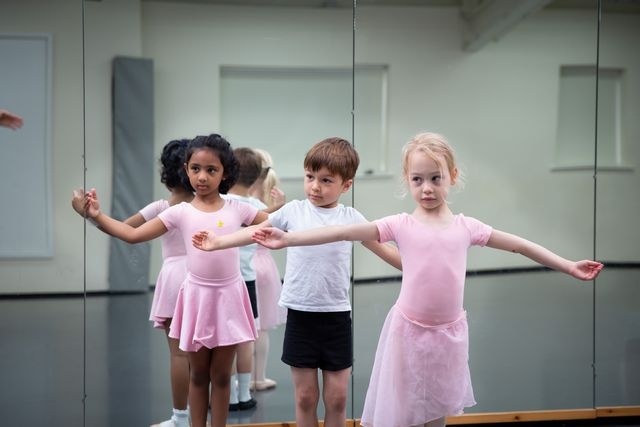 Dance is a vibrant and thriving subject within the Junior School curriculum and is taught by a specialist dance teacher. 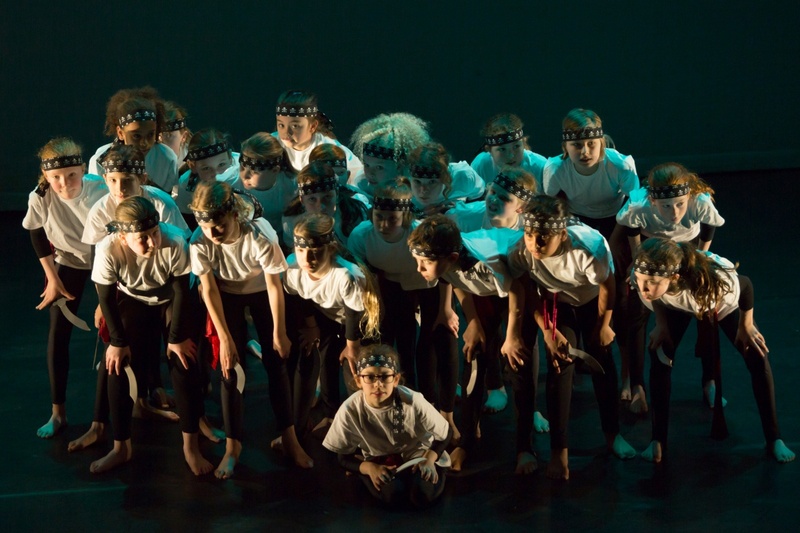 It is taught once a week in Reception - Year 4 as a single subject and through Performing Arts in Year 5 – Year 6. 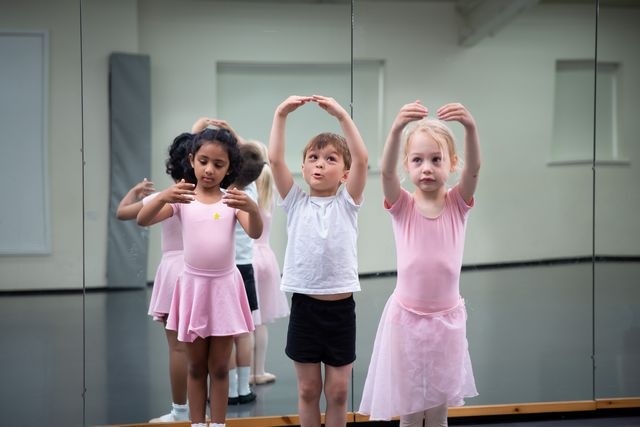 The emphasis in dance is to develop pupils’ self-confidence, improve their creative, imaginative, physical and thinking skills, and foster an understanding and appreciation of dance as an art form. It is designed to engage boys and girls, through an exciting and fun array of dance styles and techniques, to develop their creative movement ideas and enhance their confidence when performing in front of others. 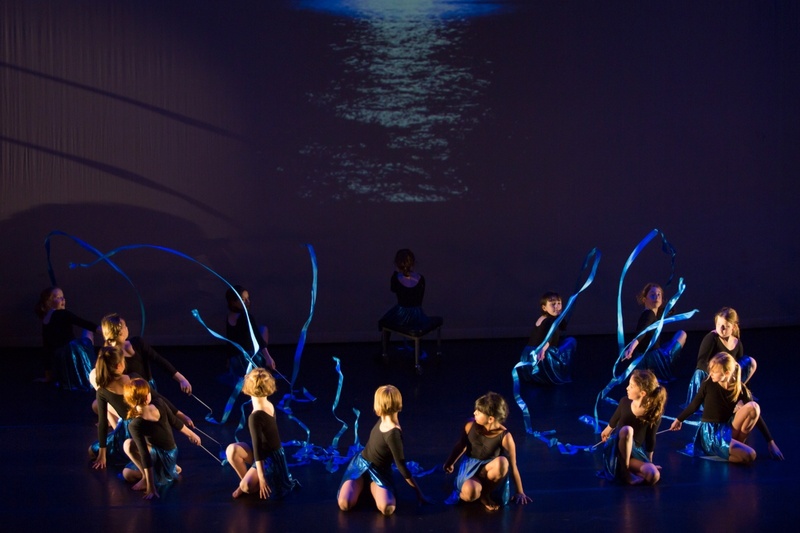 Dance throughout the Junior School is underpinned by the three elements of dance: choreography, performance and appreciation. The highlight for many dance enthusiasts is the biennial dance show which takes place at the Arlington Arts Theatre. 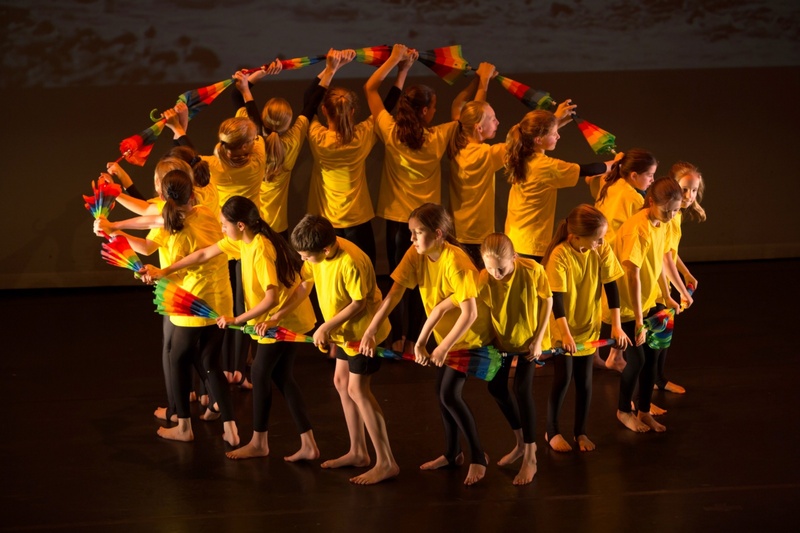 This lively and exciting event celebrates the dancing achievements of pupils from Year 3 upwards and provides an opportunity for Junior School pupils to experience the thrill of a live performance in a professional venue. 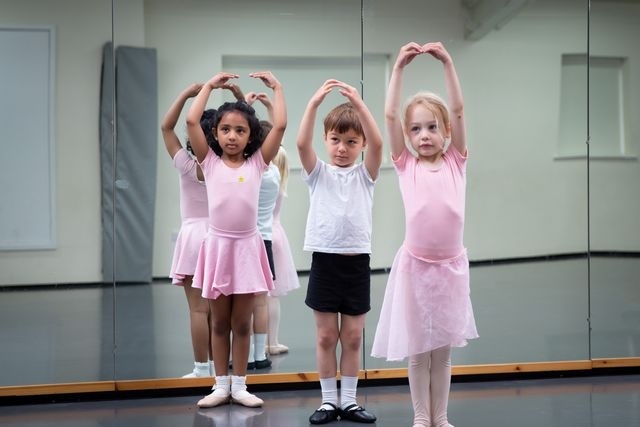 Dance is taught in a specialist dance studio with a fully sprung professional dance floor and large mirrors. 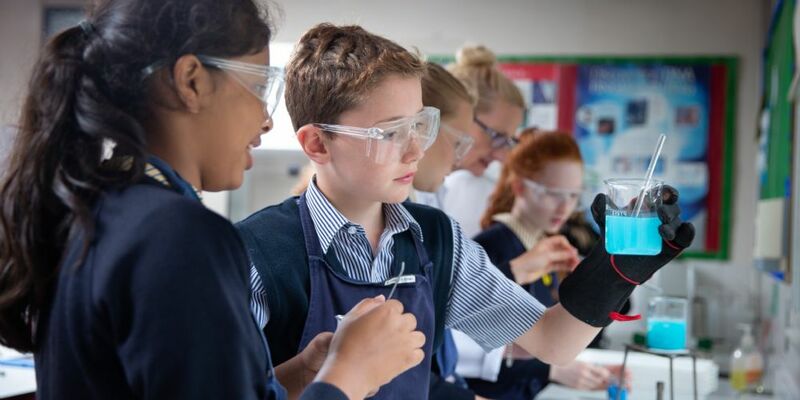 Our aim, through hands on experience and practical applications, is to give pupils an understanding of the world around them and to foster the natural curiosity that they exhibit towards products, processes and how everyday items are designed. The questions ‘Why? What? How? and Where?’ are ones we never tire of hearing! From Year 3, specialist staff teach pupils how to approach a design problem by analysing a task, researching and designing for a specific need. They have the opportunity to make products and to evaluate the process throughout. 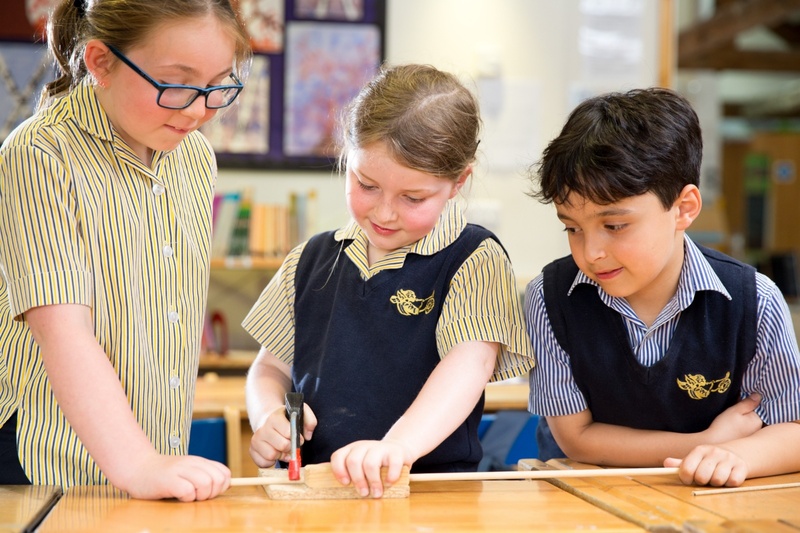 Moving through to Year 4 – Year 6, pupils undertake several practical 'design and make' challenges, which encourages them to think independently, work safely, create products of high quality and demonstrate individual creative flair. Pupils gain knowledge of a wide range of material and ingredient properties and of the manufacturing techniques and processes available in school, including computer-aided design and manufacturing applications. The emphasis is on learning through practical experience and applying knowledge to solve problems creatively, which subsequently builds confidence and an appetite for challenge! 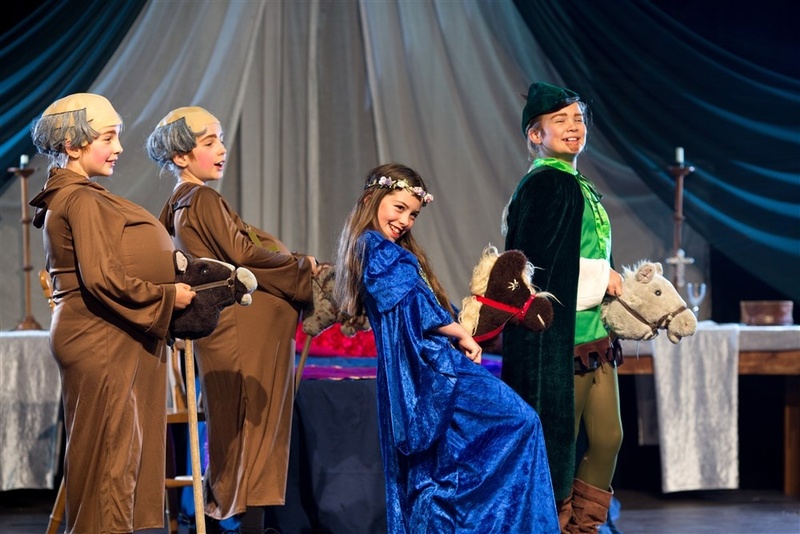 Junior School Drama is vibrant, exciting and non-competitive. 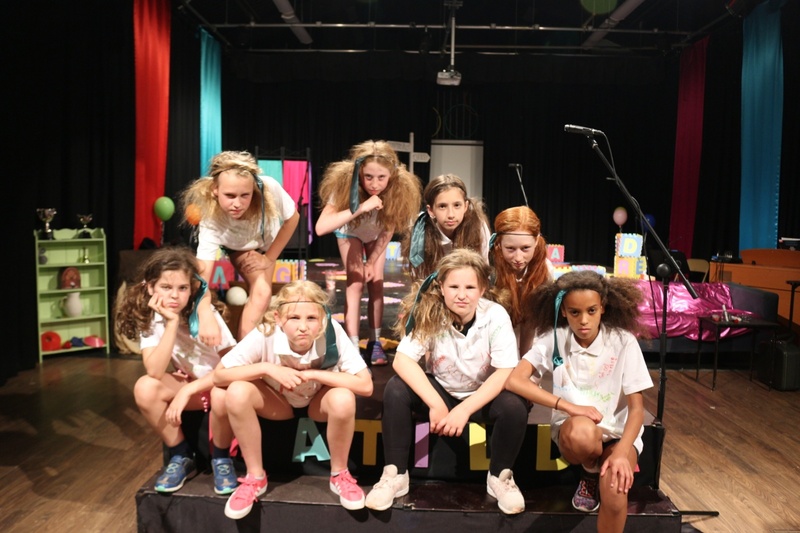 Our aim is to enhance confidence and self-esteem; encourage creativity and imagination; improve concentration and listening skills, and develop theatre and performance skills. 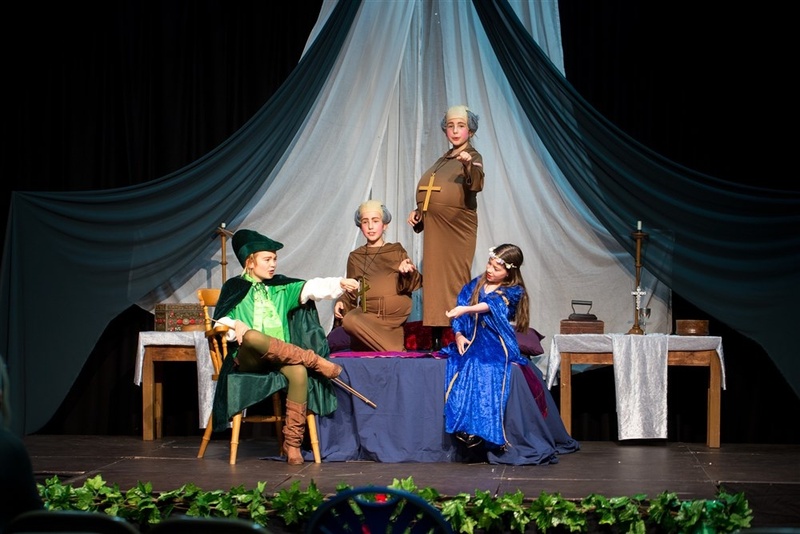 Drama is used to enhance other topics through cross-curricular links with subjects such as History, Music and Religious Education. Within a safe environment, children explore social and cultural issues, enabling them to develop empathy through characterisation and storytelling. 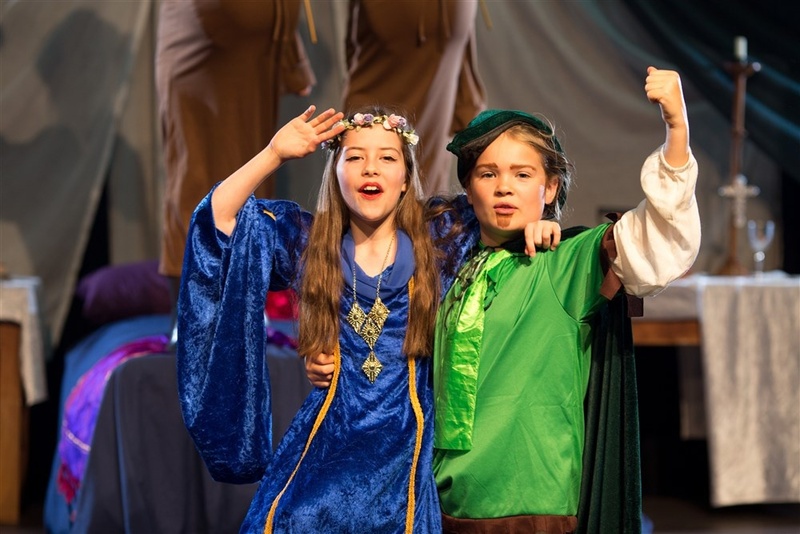 Drama helps pupils to find their creative voice so they can develop into confident and skilled communicators. 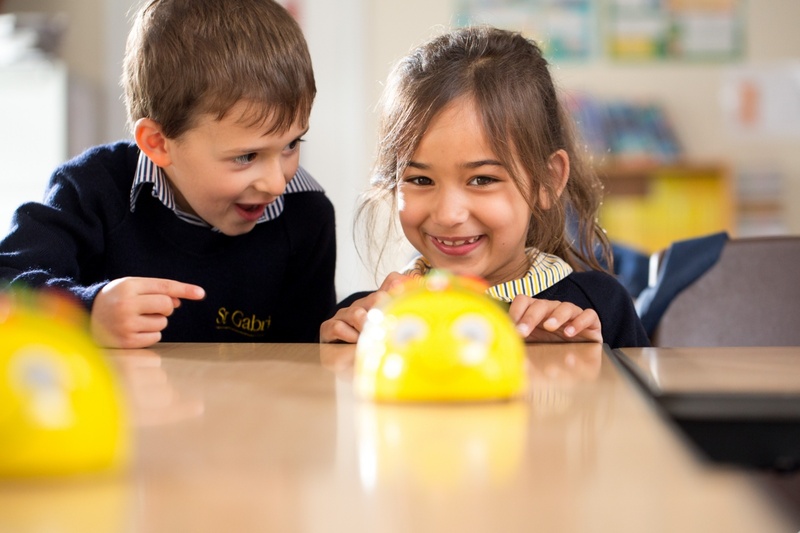 St Gabriel's is committed to providing an educational experience which prepares pupils for the use of technology to create, collaborate and communicate. From Year 3 pupils are provided with a school iPad. 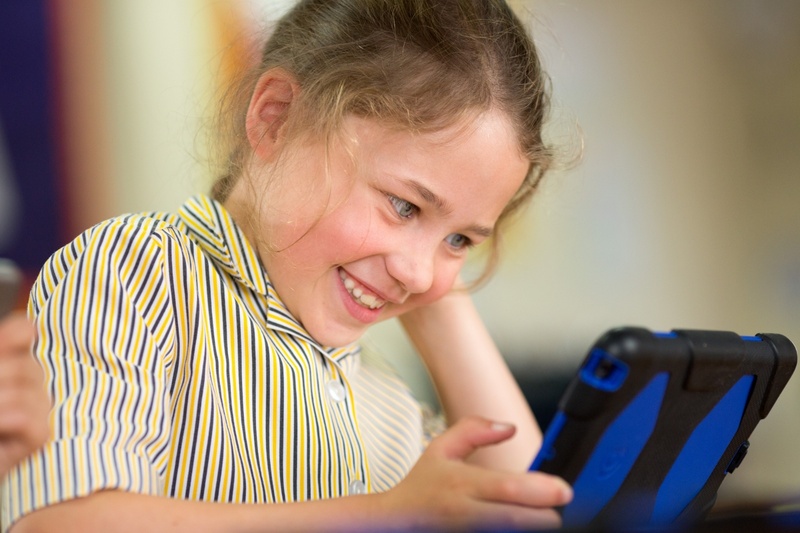 Although the iPad remains the property of the school, pupils may take it home and install appropriate apps. Pupils are expected to bring their charged iPad to school every day in line with the iPad Acceptable Use Policy. Junior School staff are always on hand to resolve any technical issues. 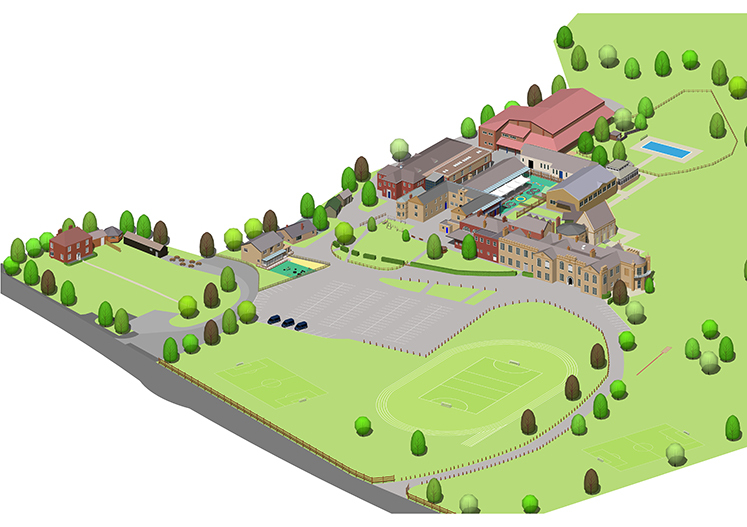 As pupils move through the Junior School, their use of digital learning across the curriculum increases. Pupils will be taught how to use OneNote and to organise their folders to contain work, which is available to view alongside their book-based work. The English Department develops the four fundamental skills of reading, writing, speaking and listening so that all children are able to communicate effectively in these ways. 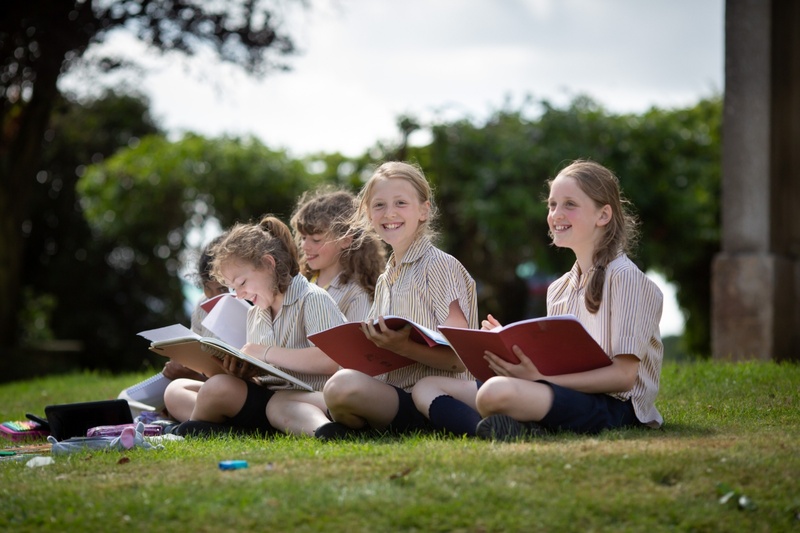 By broadening their knowledge of the English language, pupils also foster a love of literature. In Year 1 and Year 2, the children are introduced to a wide range of writing genre, including recount writing, postcards, traditional tales, poetry and non-fiction texts. 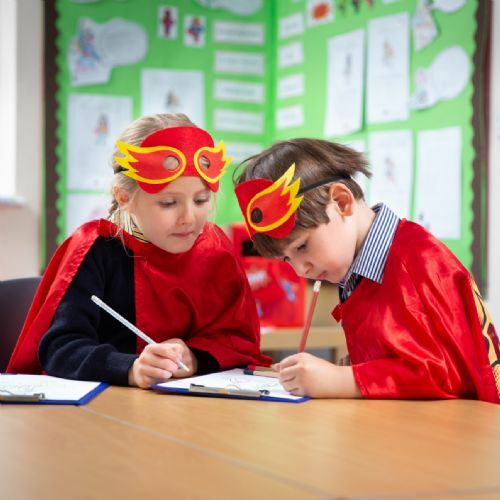 Creative writing is inspired through role play and storytelling and is extensively modelled by staff. Examples of excellent writing are explored using the wordsmith resources, which allow the children to access books and interactive resources on their iPads. Children also explore real books and the work of poets, such as Michael Rosen, when developing their creative writing skills. Writing tasks can be written individually, through paired activities or as a whole class and may be presented using pencil and paper, eBooks or even as iMovies. 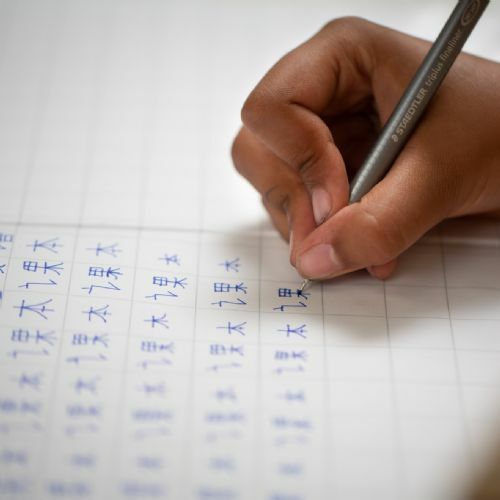 The teaching of phonics is delivered using The Jolly Phonics scheme and children are introduced to a cursive script for handwriting and encouraged to join from the beginning of Reception. Fundamental grammatical and spelling rules are discretely taught and constantly encouraged and developed through the children's creative writing. In Year 3 - Year 6, the English curriculum follows the Wordsmith Scheme. 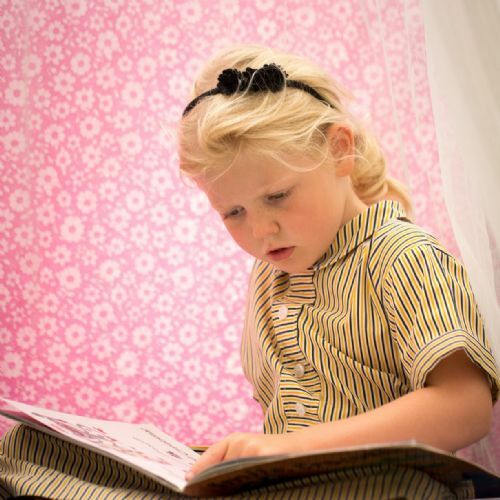 Influenced and inspired by the former children’s laureate, Michael Rosen, and endorsed by Michael Morpurgo, it has been designed to ignite children’s interest in reading, communication and language. Through this exciting and creative scheme, pupils gain an understanding of the views and styles of different authors and poets, using a variety of resources, including novels, non-fiction, poetry anthologies and short films. 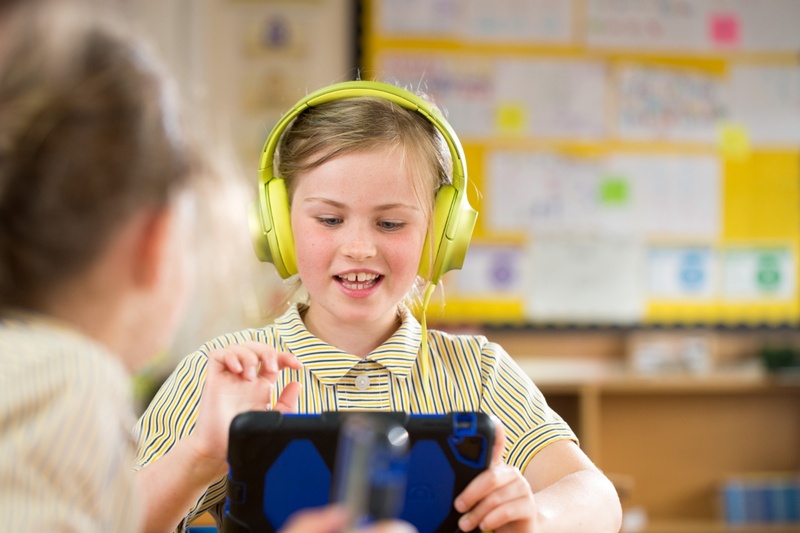 Using technology such as iPads, children can access eBooks, enhance their learning and find a variety of new and exciting ways to present their work. Technology offers access to the curriculum and a wide variety of exciting resources. 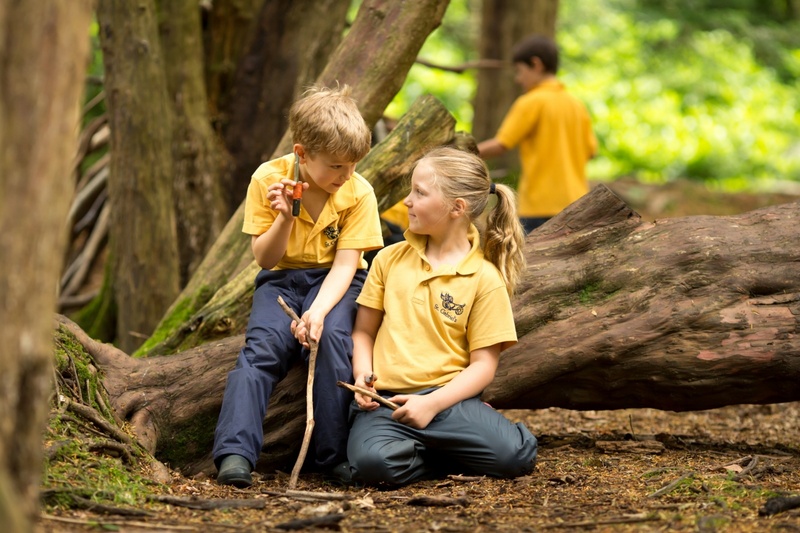 As well as improving literacy skills in all the traditional ways and covering all elements of the national curriculum, children are involved in many different speaking and listening activities, drama, games and role play. Activities are diverse and designed to be both challenging and inclusive. Teachers have high expectations of pupil achievement and focus on meeting individual needs, working alongside the Individual Needs Department, where necessary. Personal reading is actively encouraged and closely monitored at every stage and all pupils are members of the Junior Library. We are justifiably proud of the children's reading standards. The majority of children read at above or well above national reading levels. In addition to the curriculum, there is an exciting range of enrichment activities, including trips, visiting speakers and competitions. There are also extensive links with extra-curricular groups including Library Club and Cineclub. Shakespeare Week, National Poetry Day and World Book Day are celebrated every year. We inspire and create curiosity for the world through investigation, teaching about diverse places, people, the natural world and its resources. Pupils explore both physical and human geography, the shaping of our landscape, the diversity of different cultures and how we look after our world. By reference to sustainability and to our carbon footprint, they grow to respect both the local and global environment. Children gain the skills and confidence to evaluate major world events and developments through learning about the past. They forge an understanding of the challenges of people’s lives through the centuries, the process of change, the causes of the diversity of societies, relationships between different groups and the impact of the past on the present, with particular reference to British history and values. 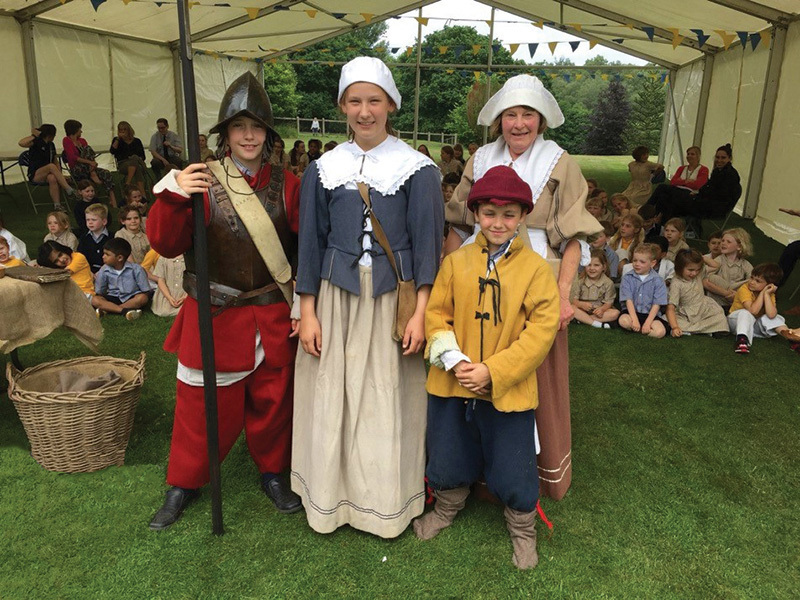 History is brought alive and made inspiring by equipping children to ask insightful questions, debate controversial issues, think critically, evaluate evidence, scrutinise arguments, develop perspective and form judgements. 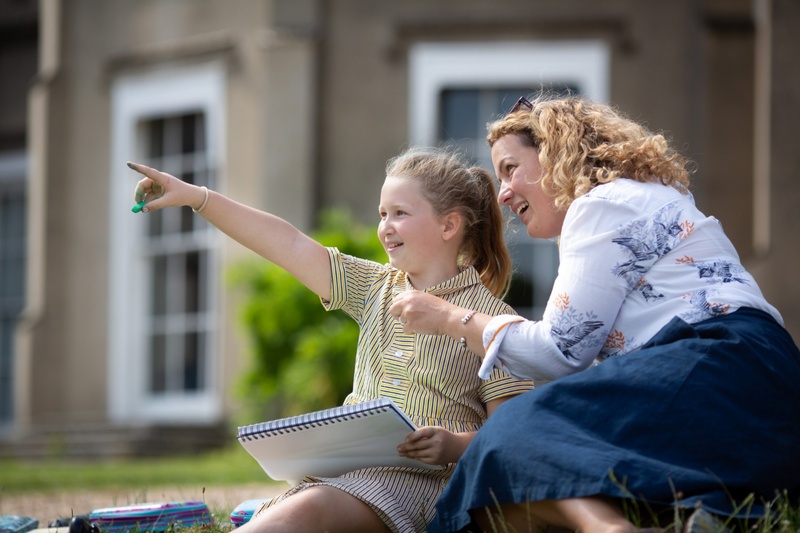 The study of history is not confined to the classroom; it makes use of the school grounds and is further enriched by visits to local sites of historical interest and museums, including Butser Ancient Farm, Reading Museum, Winchester Cathedral, Ufton Court and the Ashmolean Museum. Mathematics follows the structure of the National Curriculum. Pupils work at levels appropriate to their ability. They learn to apply their knowledge and skills, solve problems of a practical and investigative nature and communicate their ideas to others using appropriate mathematical equipment, pictures and language. 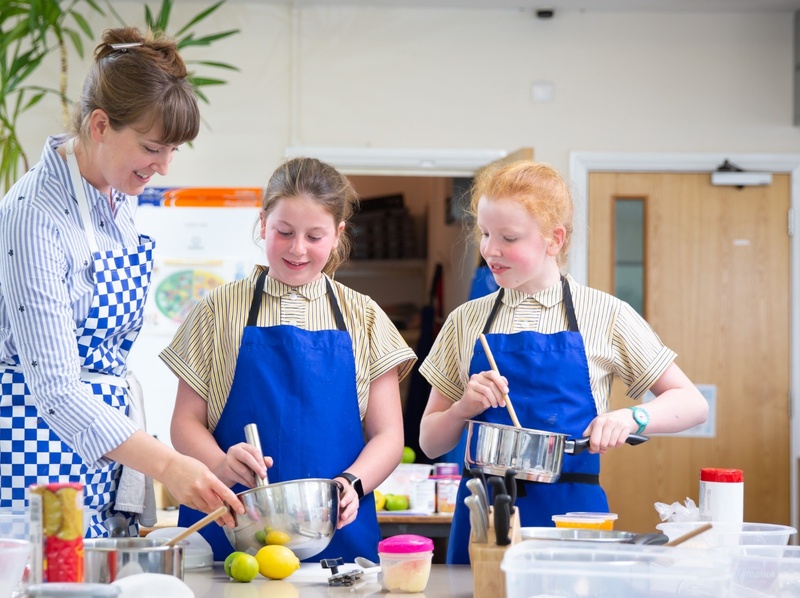 All activities are sequenced to ensure progression, which may be by means of direct teaching to the class, to small groups or by providing experiences in practical tasks through using a wide range of equipment and resources. 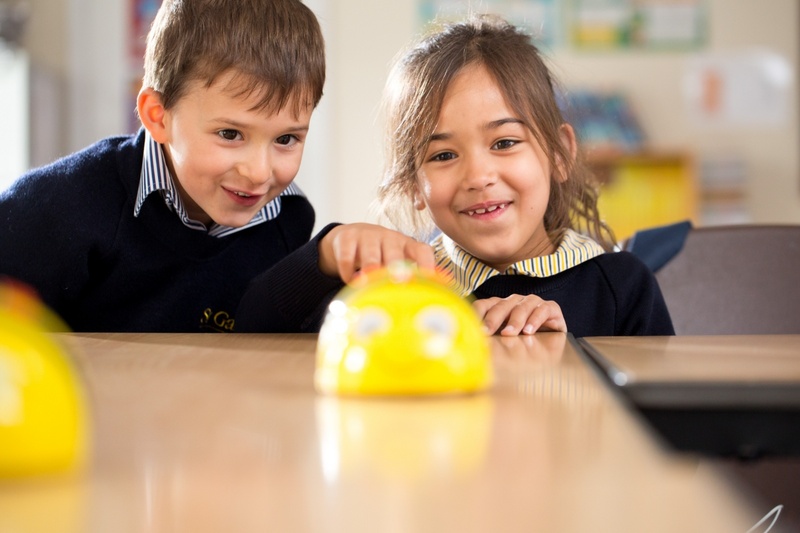 We offer pupils the opportunity, resources, support and encouragement to reach their mathematical potential. 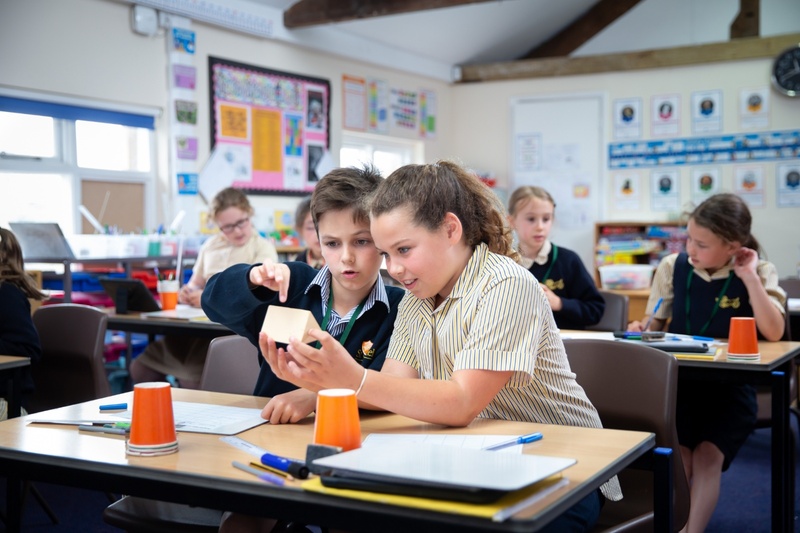 There is further provision to stretch our Challenge & Extension pupils, by taking part in activities within the classroom, as well as national competitions such as the Primary Maths Challenge. Maths homework reinforces topics covered in lessons. 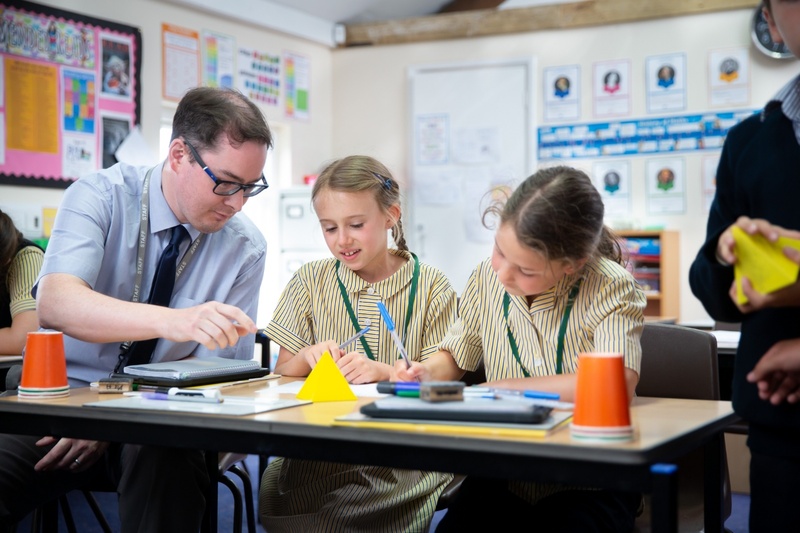 Regular practice and repetition of key facts such as times tables and number bonds throughout the Junior School is essential both in school and at home. 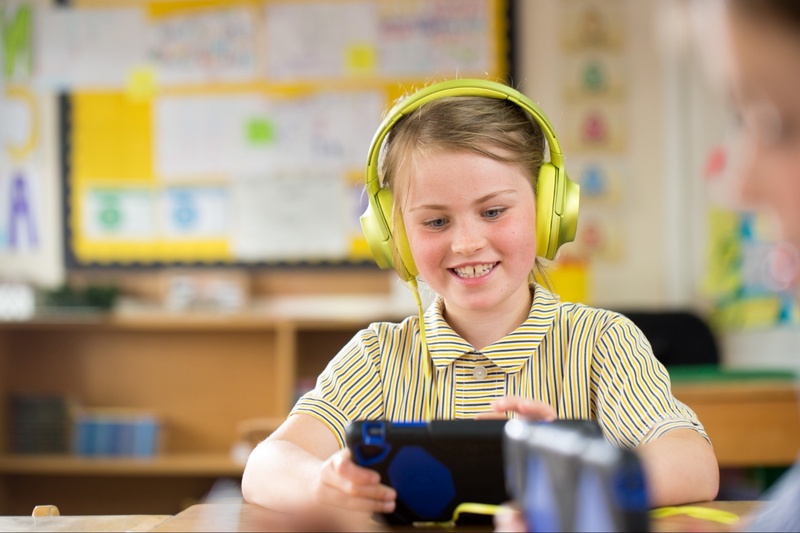 From Year 1, pupils are provided with school/home access to Mathletics and ActiveLearn, online learning resources, which practice and consolidate learning and offer individualised tasks and activities. Parents are also able to log in to check their child’s progress. 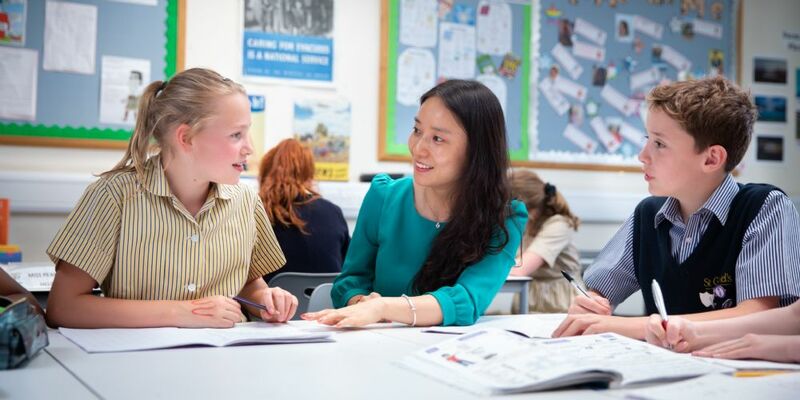 Languages in the Junior School consist of weekly lessons in French and Mandarin. In Year 1 and Year 2, pupils learn to greet each other and to communicate using songs, rhymes and role plays. The emphasis throughout is on promoting self-confidence when speaking, listening and reading in the foreign language. Writing skills are built up progressively as the children move through the Junior School MFL curriculum. 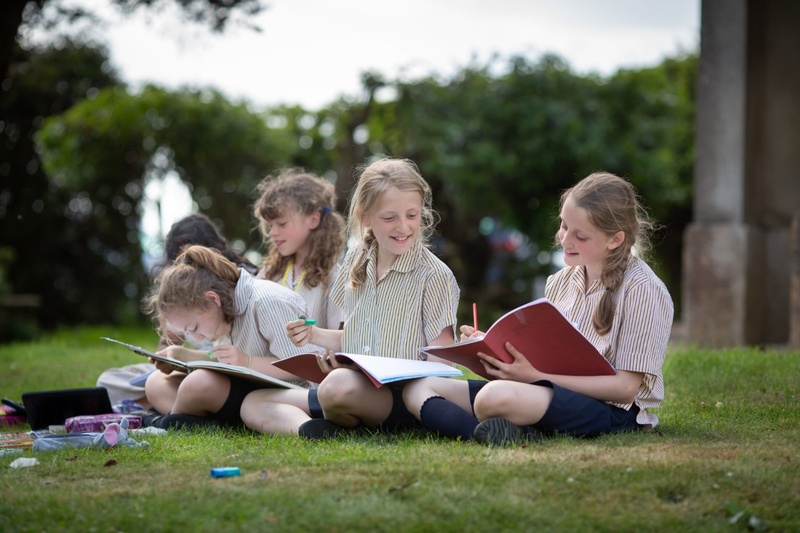 During the Summer Term of Year 5, pupils enjoy a five day residential visit to France, where they are immersed in the French language and culture. A visit to a French school enables them to put their language skills to use in an informal and sociable environment. Additional languages, such as Italian and Spanish, may be offered as extracurricular clubs. The Music Department aims to provide an experience which promotes enjoyment, knowledge and understanding of music, primarily through an aural/vocal approach. The syllabus is designed to give pupils a basic understanding of the elements of music: pitch, duration, timbre, texture, structure, tempo and dynamics. It also gives them exposure to a wide variety of musical styles. 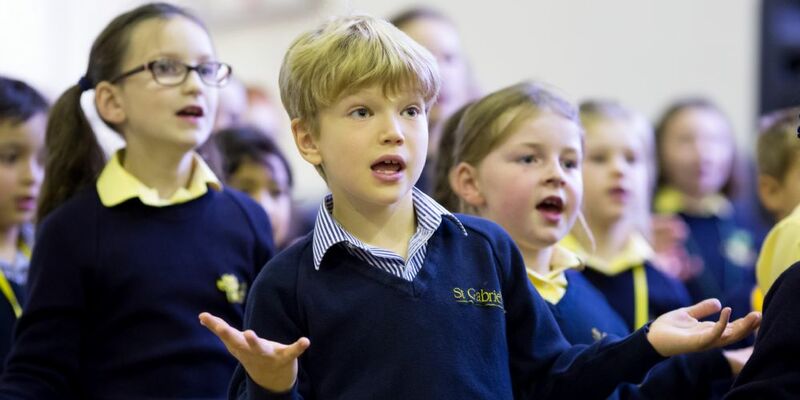 Each year group, as well as learning about music theory and doing lots of singing, take part in structured group instrumental sessions, led by specialist teachers. This is a very popular scheme whereby pupils gain experience in a variety of instruments and learn to perform fun music while improving their musical skills. 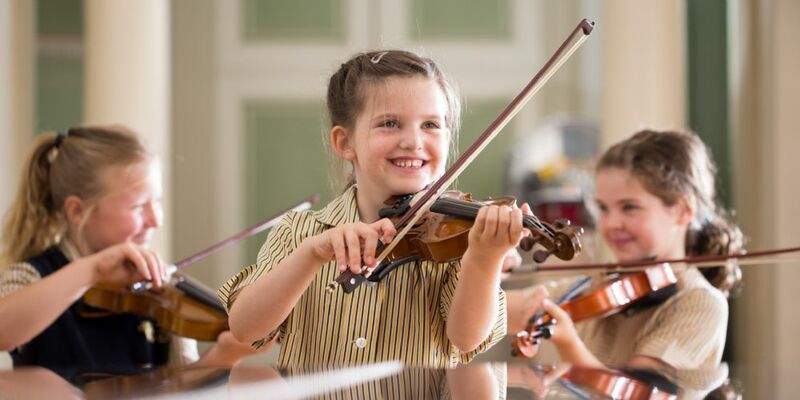 It is an ideal entry point for learning an instrument and many pupils take up individual instrumental lessons to develop their skills further. In Year 1 children learn the violin; Year 2 the ukulele; Year 3 the recorder, fife and chalumeau; Year 4 the PBone, and Year 5 - Year 6 the piano/keyboard. Please contact the Admissions Manager for information on individual instrumental lessons, trial lessons and an application form. 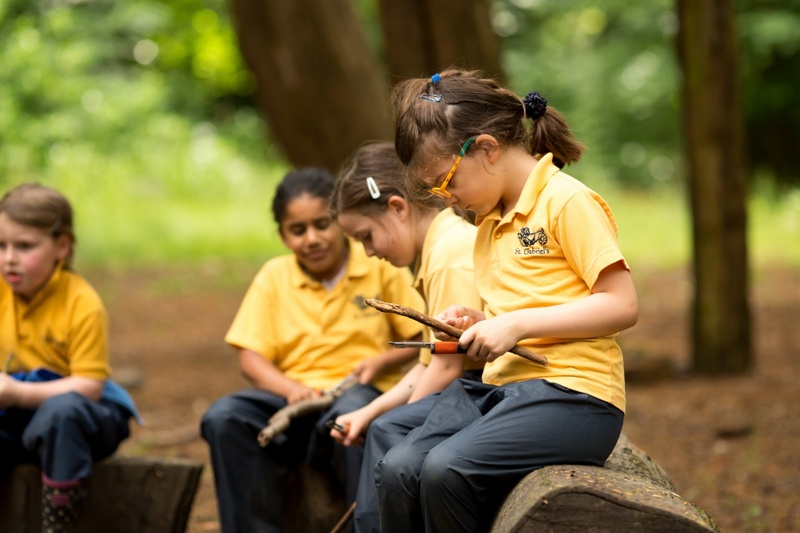 With such extensive grounds, including mixed woodland, a lake, streams and meadows we are always looking for opportunities to take pupils’ learning outside. Teachers plan cross-curricular activities to make the most of the natural habitats that have developed within the 32 acres of Capability Brown parkland. 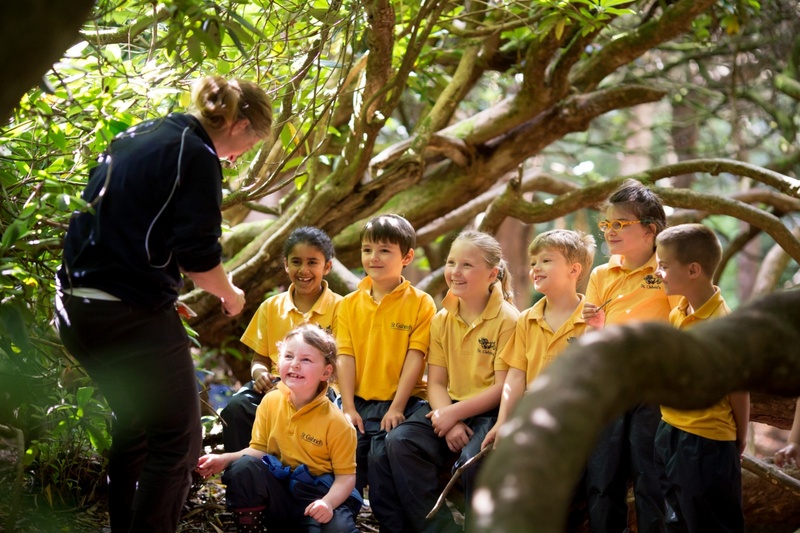 We also provide weekly lessons in Outdoor Education or OWL time (Outdoor and Wildlife Learning). 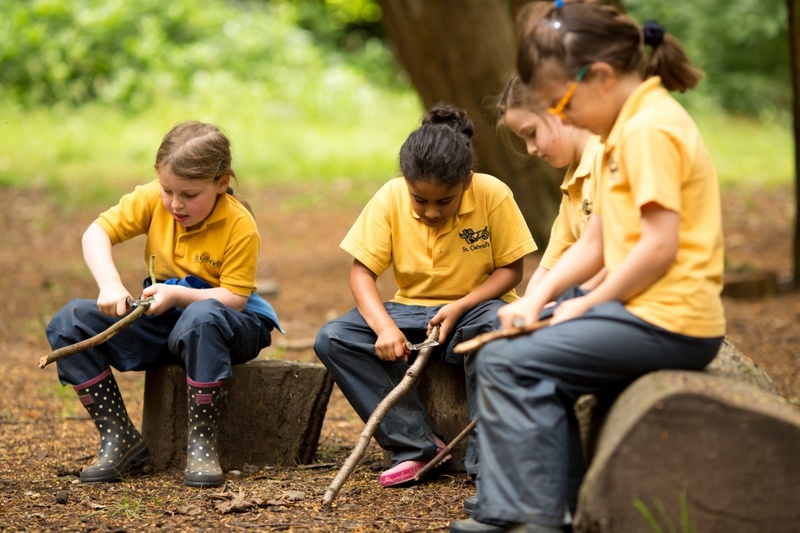 These sessions encourage pupils to explore the rich flora and fauna that is all around them, as well as to develop personal and social skills through activities like den-building and wide games. 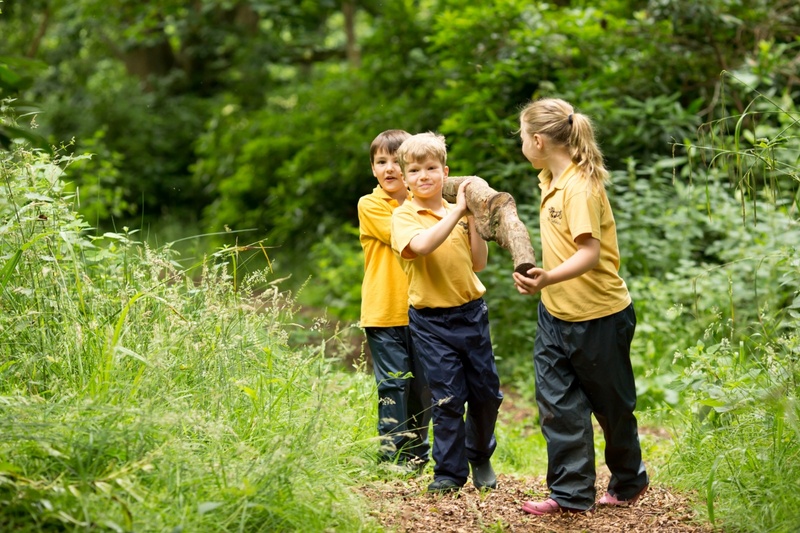 Children love to take their learning outdoors and, as a result, often get a little wet and muddy! For these reasons, we ask that pupils have waterproofs and wellies in school so that their access to these activities can be all year-round. 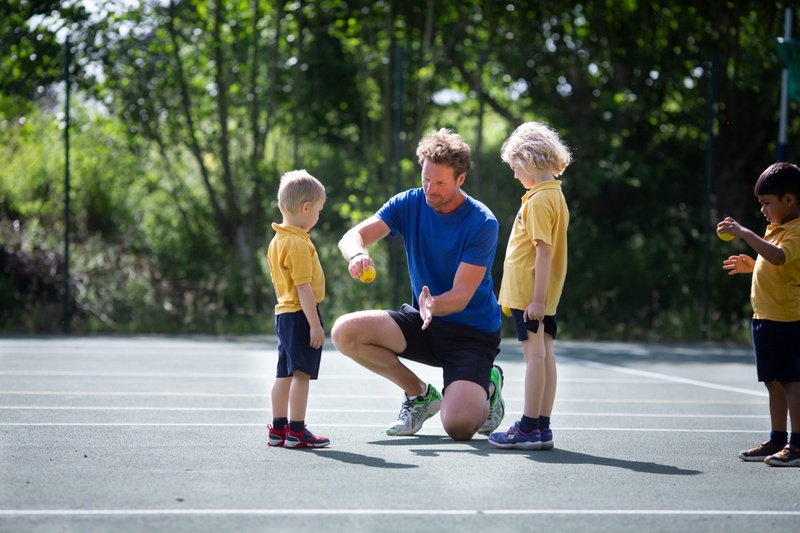 Our dedicated and highly qualified teachers and coaches provide numerous opportunities for every child to be included in a diverse programme of games, movement and swimming. 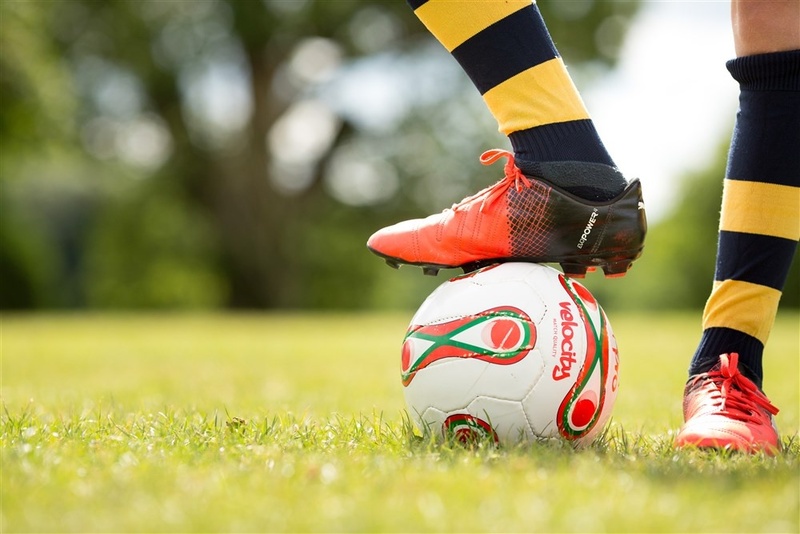 All pupils have Physical Education at least three times a week and those in Year 3 -Year 6 may also take part in a match. 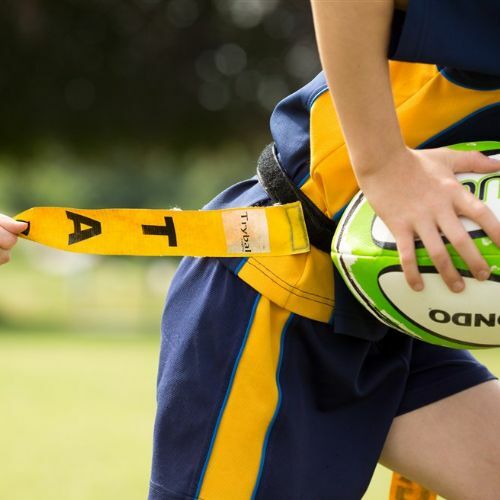 The emphasis is on fun, skills development and teamwork within the context of a conditioned game. 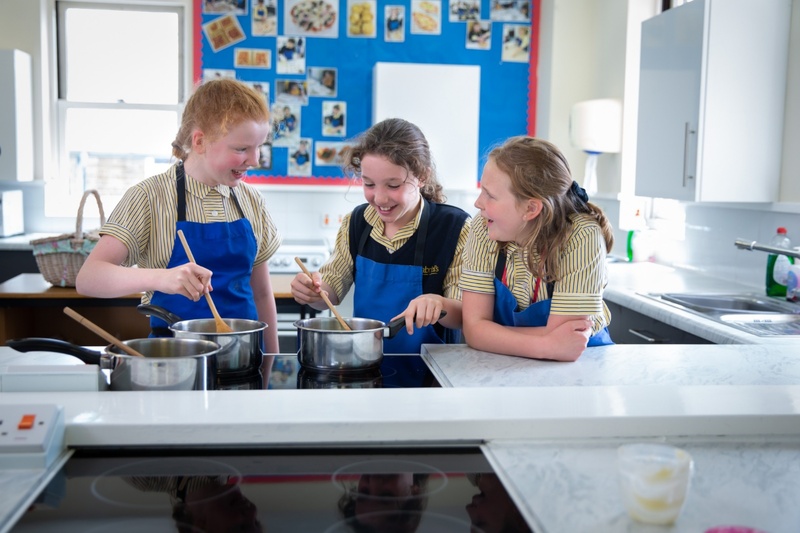 Pupils are grouped in a variety of ways during lessons to aid teaching and to improve learning, but for team training they are coached in ability groups. The groupings are flexible throughout the season to allow for improvement. 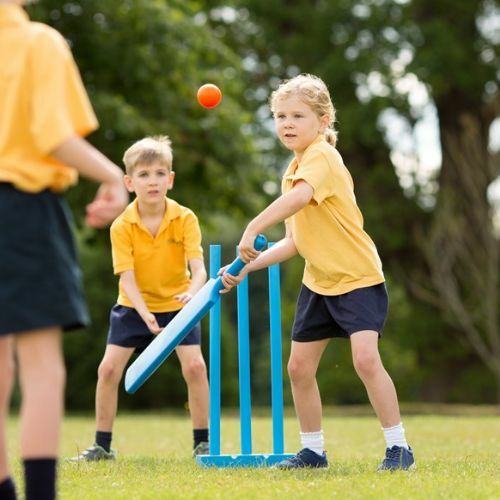 We provide an enjoyable, challenging, positive and stimulating learning environment for the children and give them the foundations to enjoy and fully participate in sport and access a healthy lifestyle. 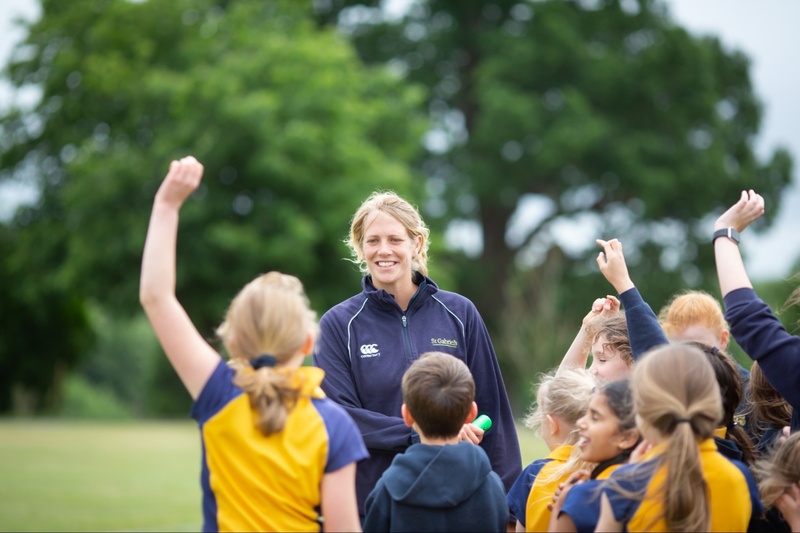 Our major sports for boys and girls are football, tag rugby, netball and hockey, with rounders, athletics, tennis and cricket in the summer. Our more able players are expected to achieve district honours and we encourage them to apply for sports scholarships into their senior school. Every child is proud to represent their school and we celebrate the success of every team equally. It is our aim to ensure that all children are confident swimmers and are able to swim a length of our pool by the end of Year 3. Most pupils achieve this landmark but, if more development is needed, there is the chance to work in smaller groups before and after school to build up water confidence. 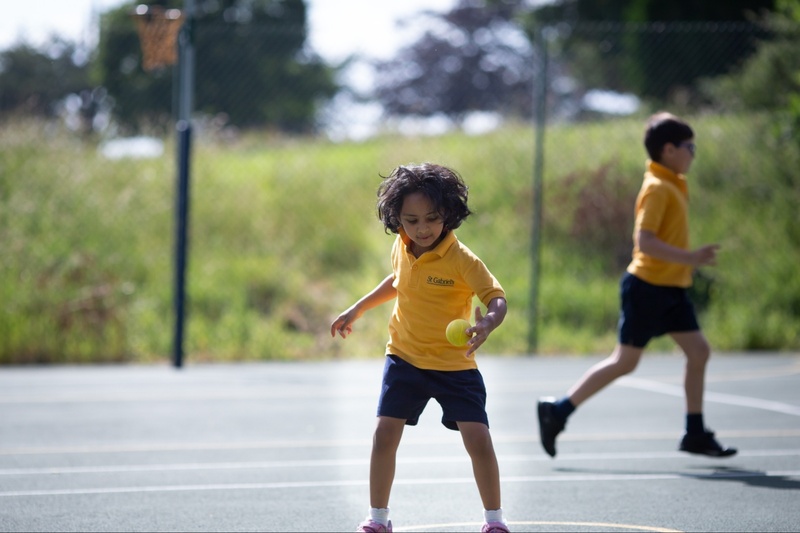 The Physical Education programme is varied in nature requiring individual agility, balance, co-ordination, flexibility and core strength. Gymnastics and dance are particularly valuable because they allow every pupil to express themselves and to create their own sequences and ideas based around a common theme. By Year 6, all pupils in gymnastics lessons will have felt the exhilaration of flight into and out of a vault, the stillness of the balance and the excitement of working in pairs and small groups to create advanced sequences. Pupils represent the school in district and county competitions following the Key Steps Programme and may extend their gymnastics further in our after-school Gymnastics Club. The teaching of athletics builds on the natural delight children take in running, jumping and throwing. They are constantly encouraged to improve on their personal performance. It is not uncommon for pupils who find games a challenge to excel in these individual activities. 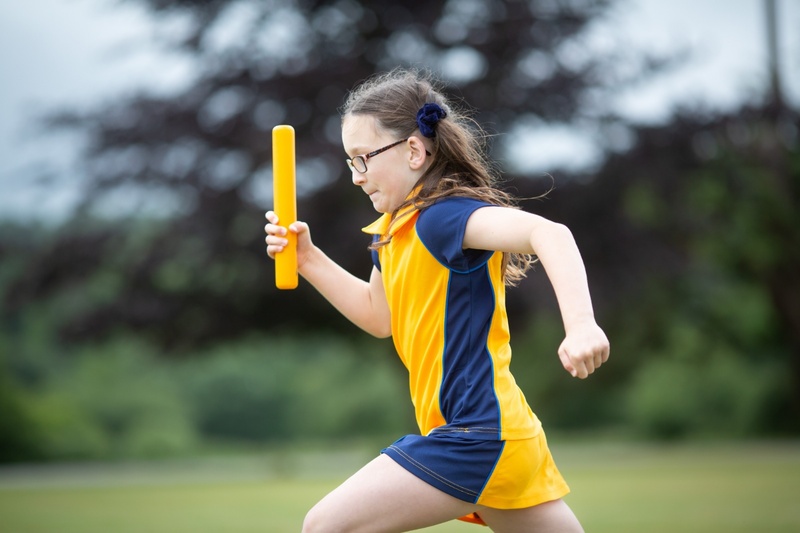 The highlight of the Summer Term is Sports Day, an inter-House athletics event involving every child. 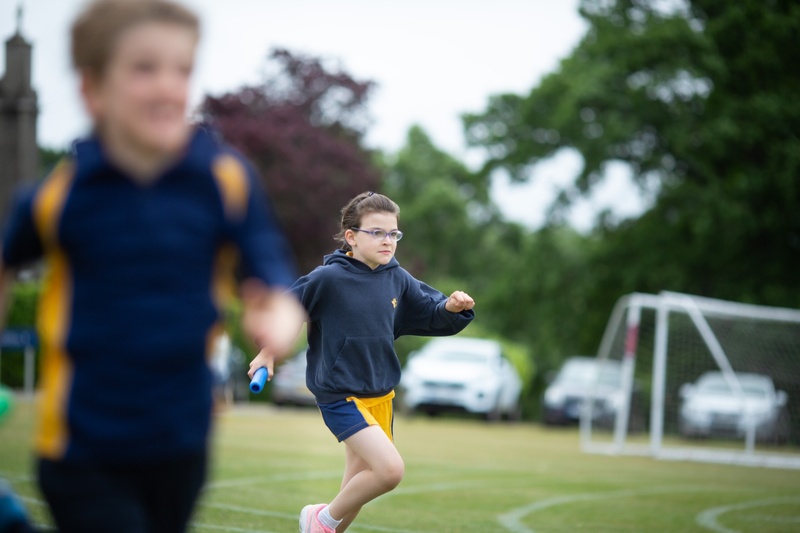 Athletics extends to our regular Monday morning Running Club, where pupils are encouraged to develop their stamina and running technique through fun activities, which starts our week in a positive way. 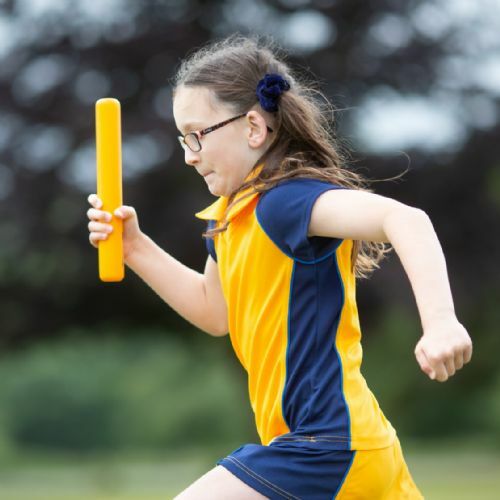 Enrichment activities include judo, climbing, tennis, gymnastics, orienteering, quad kids athletics, running, netball, hockey, cricket, football, trampolining, tag rugby, rounders, basketball, bowling, paralympic sports, swimming, volleyball and ballet. 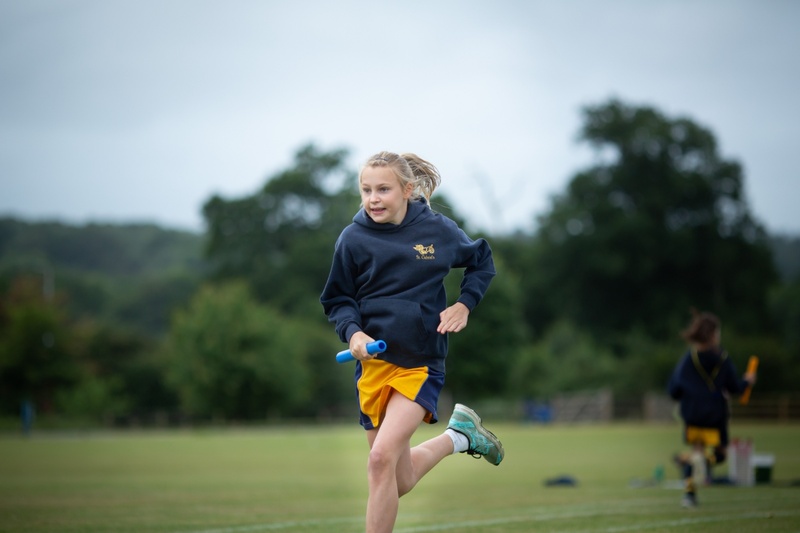 Sporting life at St Gabriel’s balances a commitment to physical health and fitness for all through a diverse and challenging Physical Education programme. 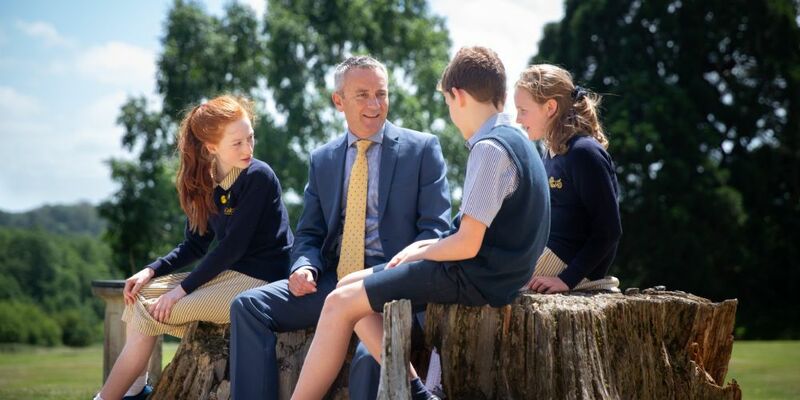 The school has a strong commitment to its systems for pastoral care. 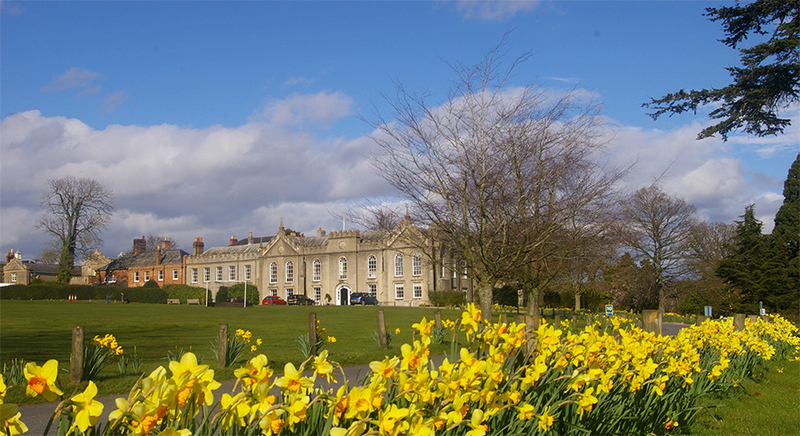 The academic and personal development of each pupil is monitored closely. Through the Six Pillars of Character, children are taught values such as respect, trustworthiness, caring for others, citizenship, fairness and responsibility. These values are reinforced in all areas of school life. 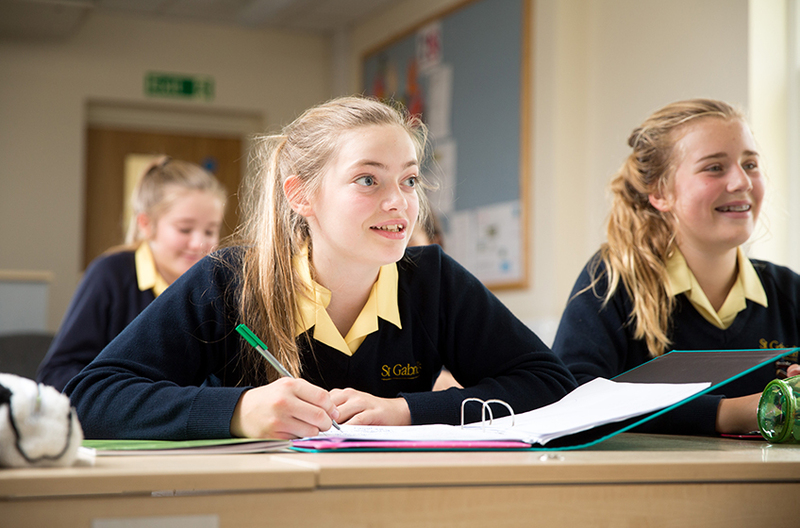 The content of Religious Education lessons is based on the Berkshire Religious Education Syllabus, which aims to give pupils an understanding of Christianity and world religions. Trips to places of worship help develop respect and empathy for members of a multi-faith society. 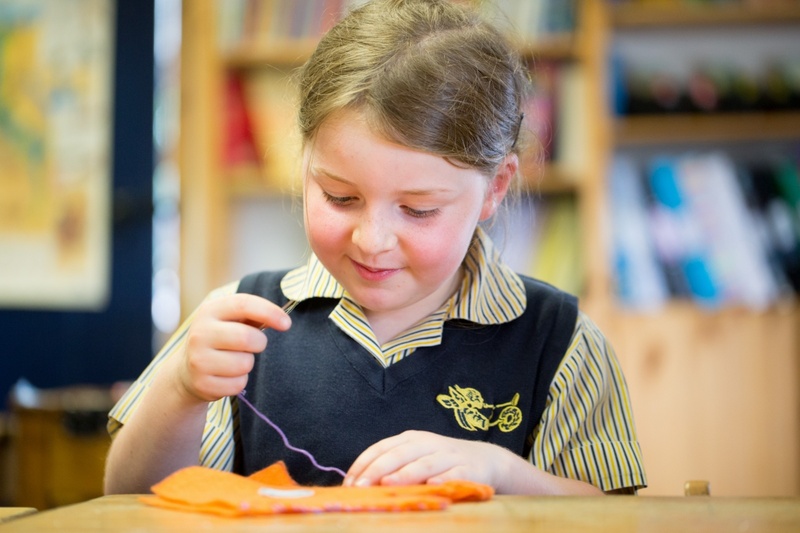 In Year 1 and Year 2, the emphasis in Science is to tap in to the children’s natural curiosity. Lessons involve a great deal of observation, discussion and practical investigation. Simple experiments are carried out and children are encouraged to explain their findings to their friends. From Year 3, Science is taught in our Junior Science Laboratory, and from Year 4, pupils are taught by specialist Science teachers. The emphasis is on enthusing our pupils with a love for learning about science. Every year, the scientific method is built upon culminating in Year 6 Science projects. Science Week takes place during the Spring Term, when pupils take part in mini Science projects and exciting scientific activities. Guest speakers from the scientific community come in to talk to our pupils. 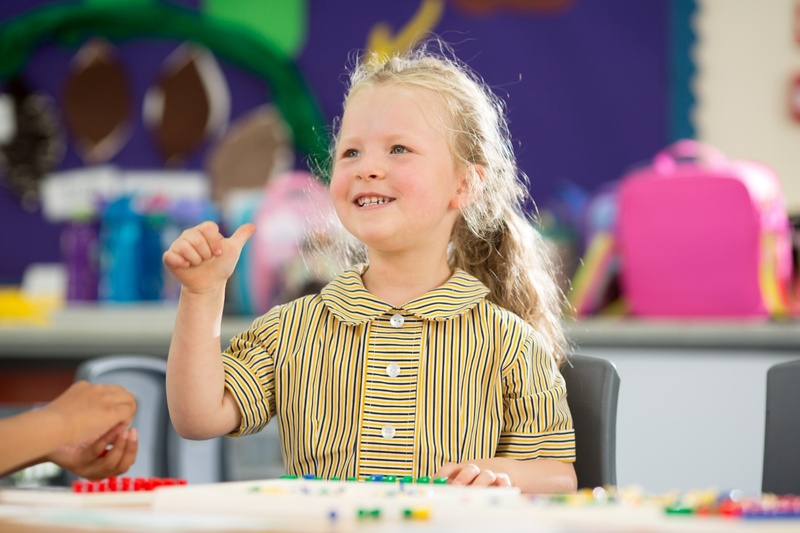 Weekly lessons in Thinking Skills aim to develop pupils’ understanding of their own abilities and learning styles via the Multiple Intelligences approach of Howard Gardner. Mind-mapping, lateral thinking, problem-solving and reasoning are also components of our interactive curriculum.